In San Antonio, the first monument of its kind opened Monday celebrating U.S. military working dogs teams. The sculpture, built with private donations, features the four major breeds used since World War Two: Doberman Pinscher, German Shepherd, Labrador Retriever, and Belgian Malinois. 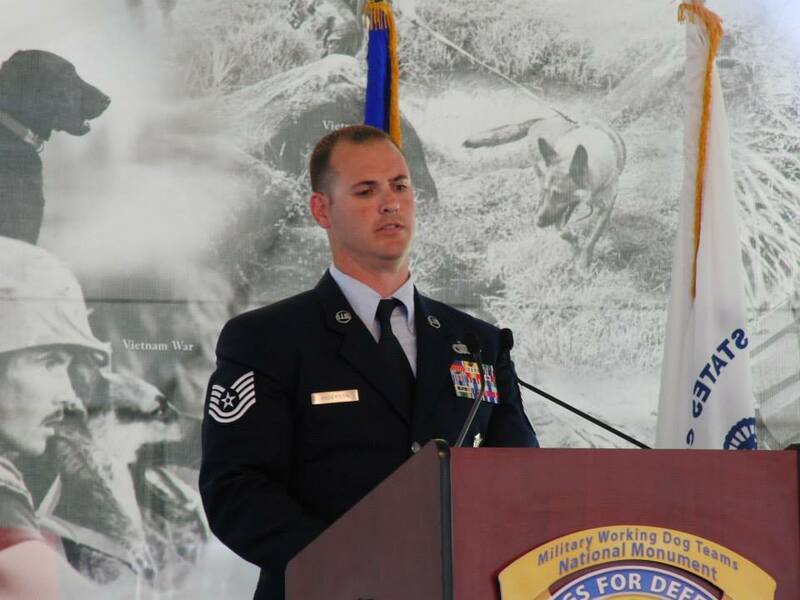 Among the speakers at the event was SSgt. Leonard Anderson (BELOW). The heroism of Anderson and his MWD, Azza, was featured in the film, GLORY HOUNDS. GLORY HOUNDS AVAILABLE ON DEMAND!